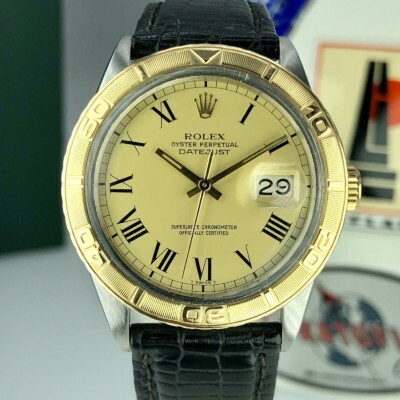 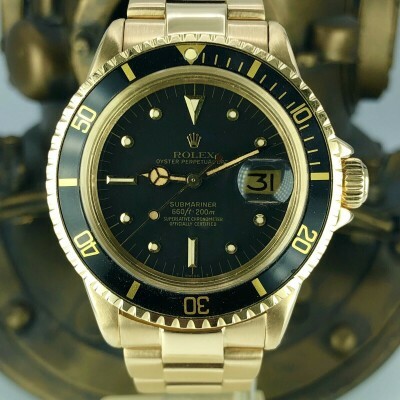 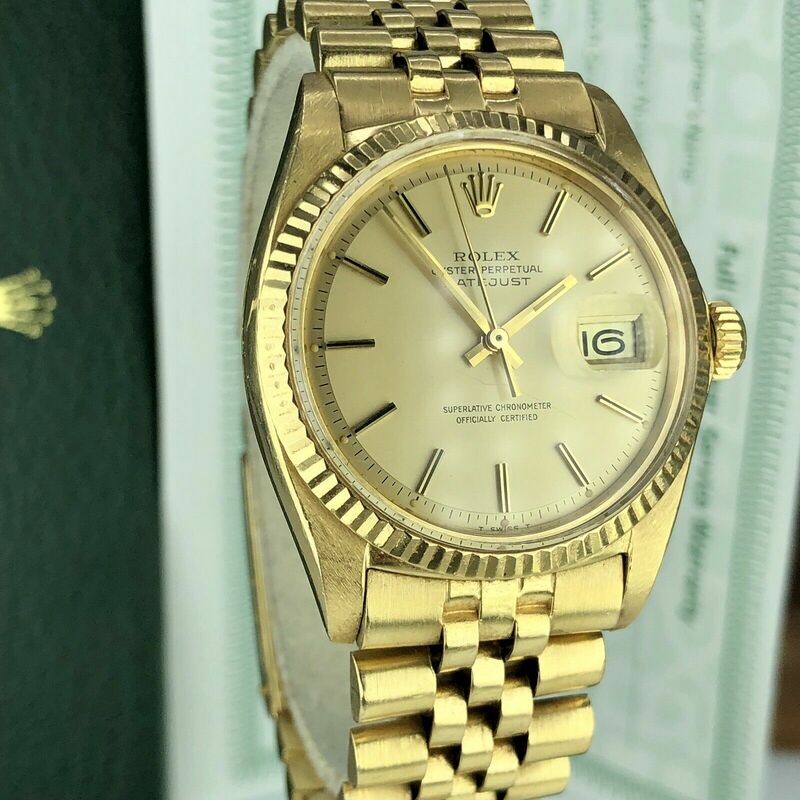 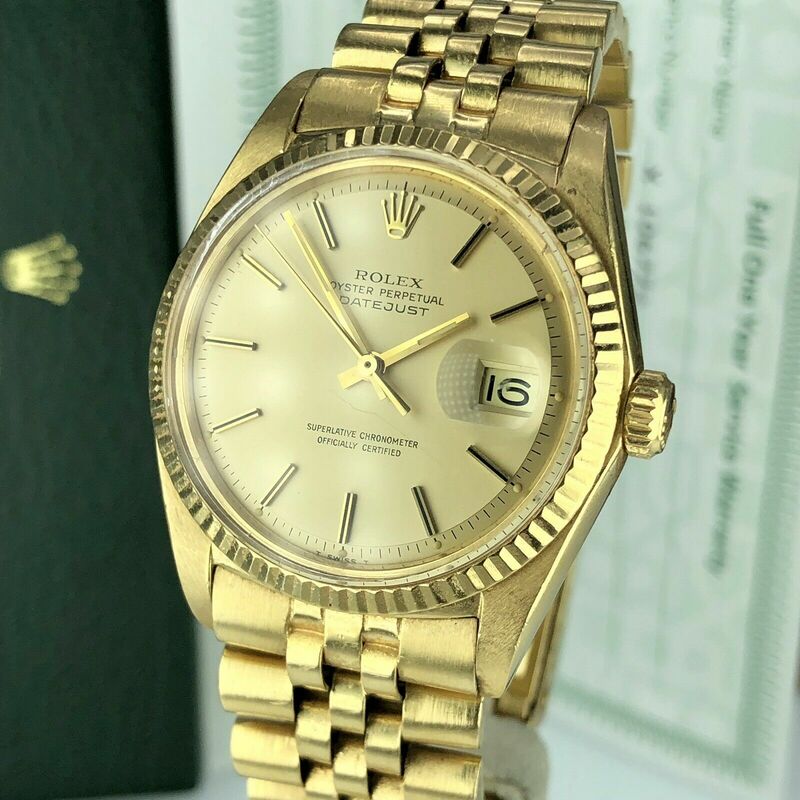 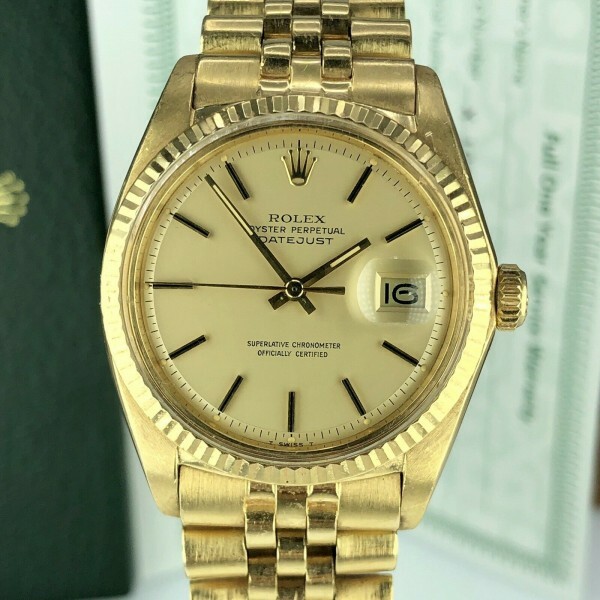 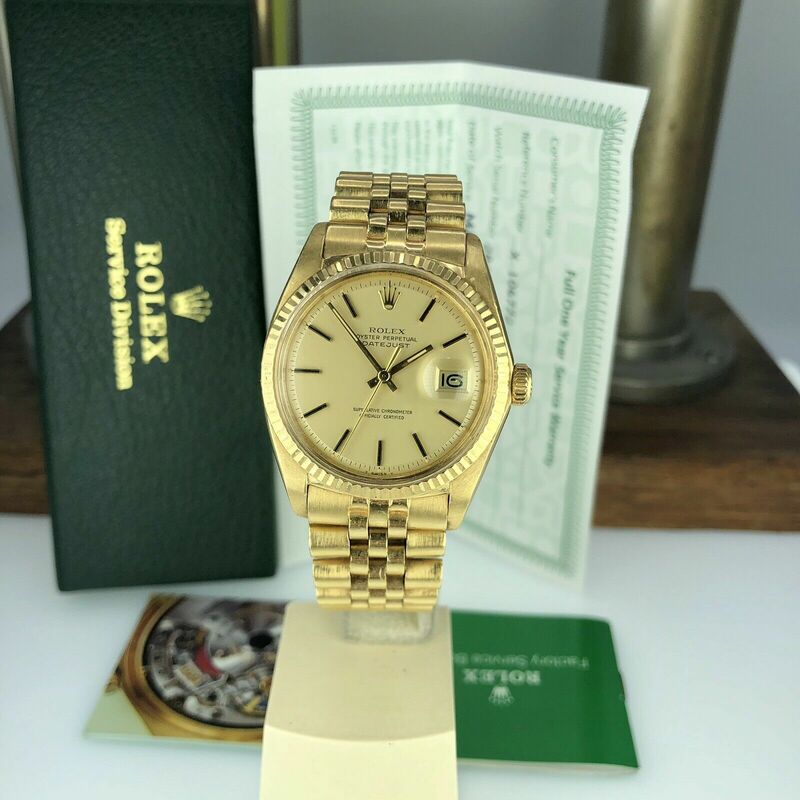 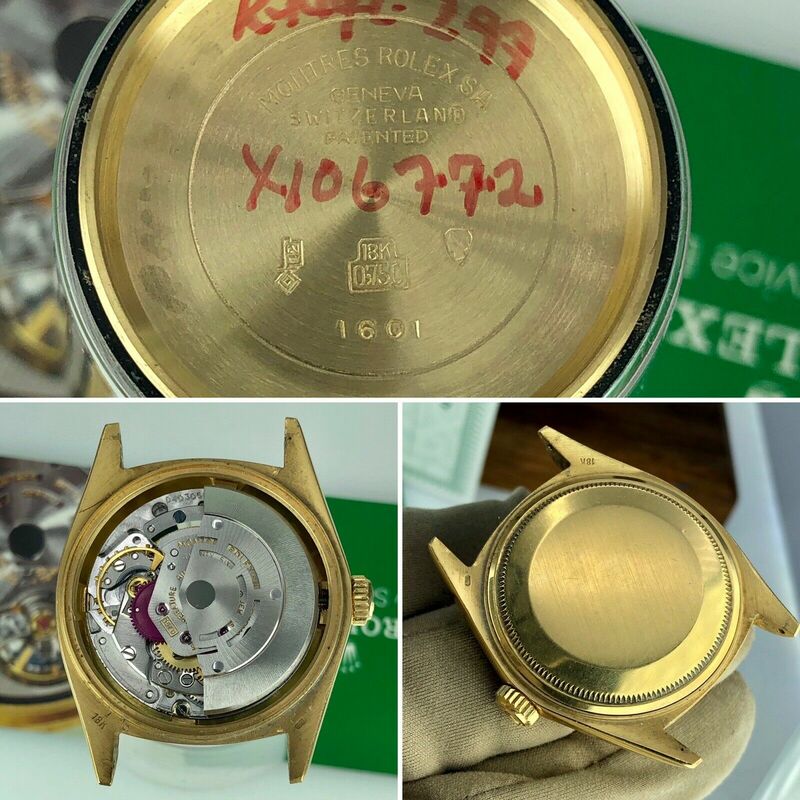 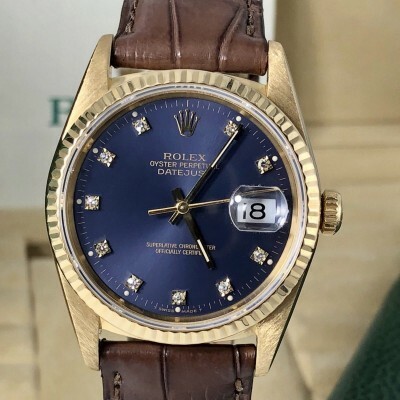 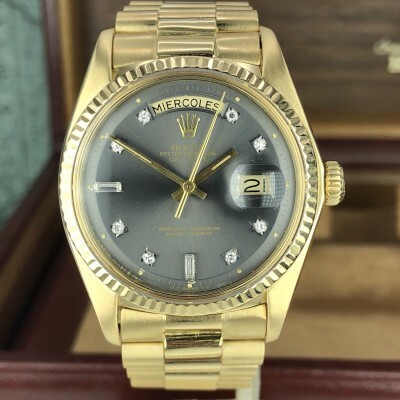 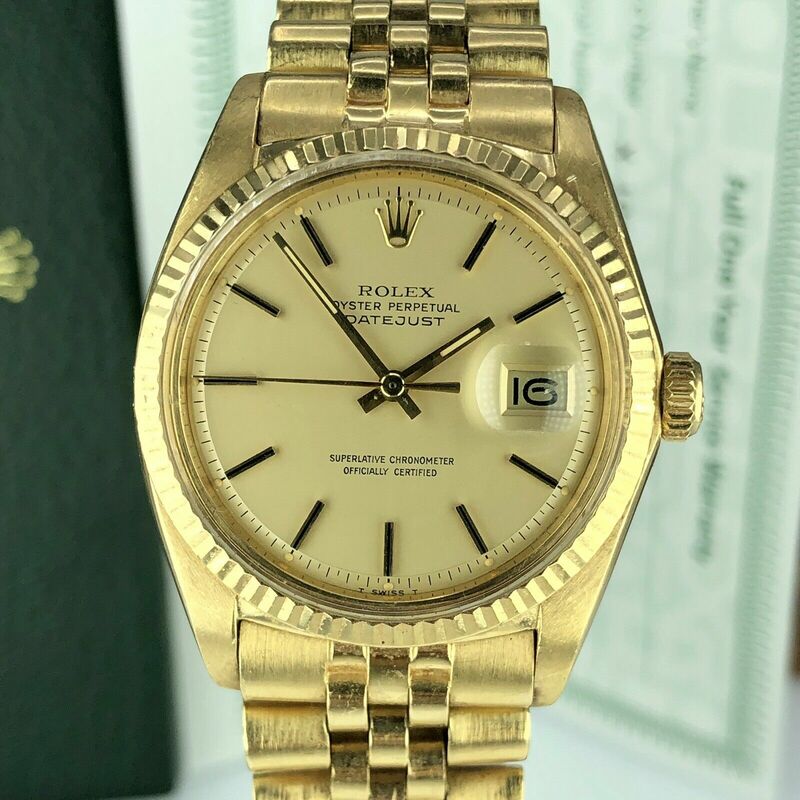 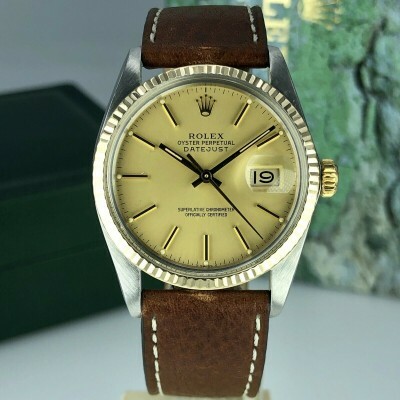 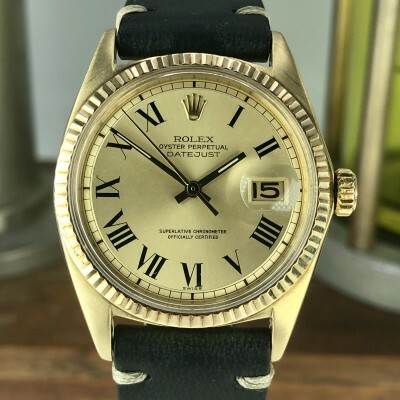 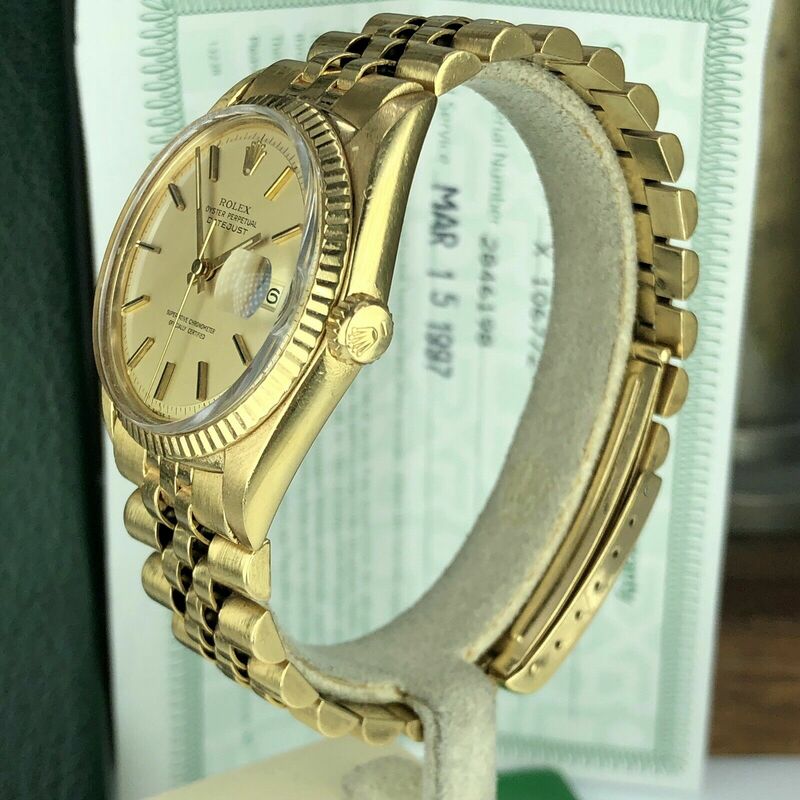 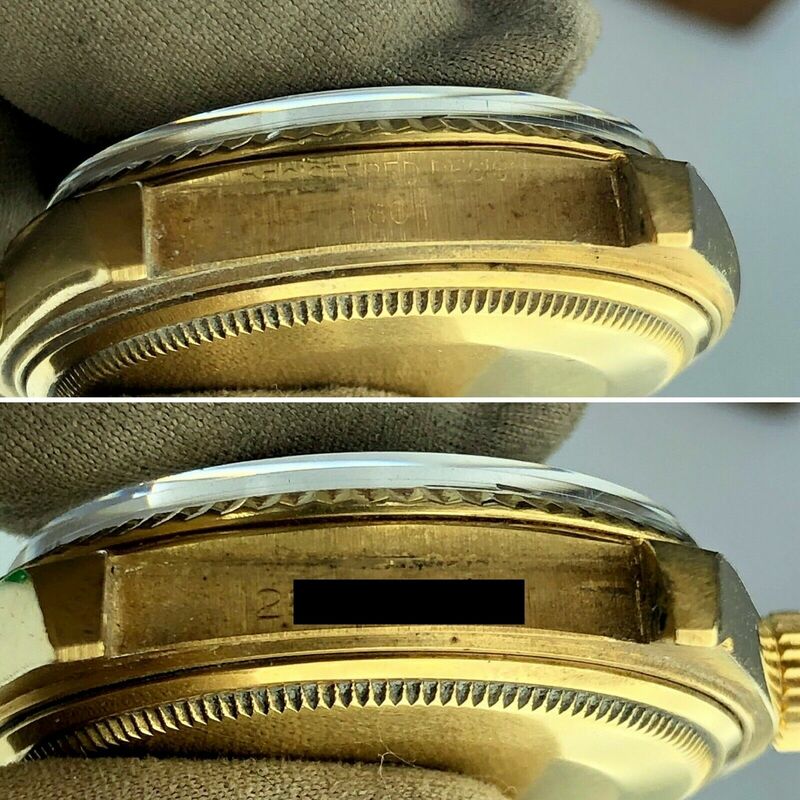 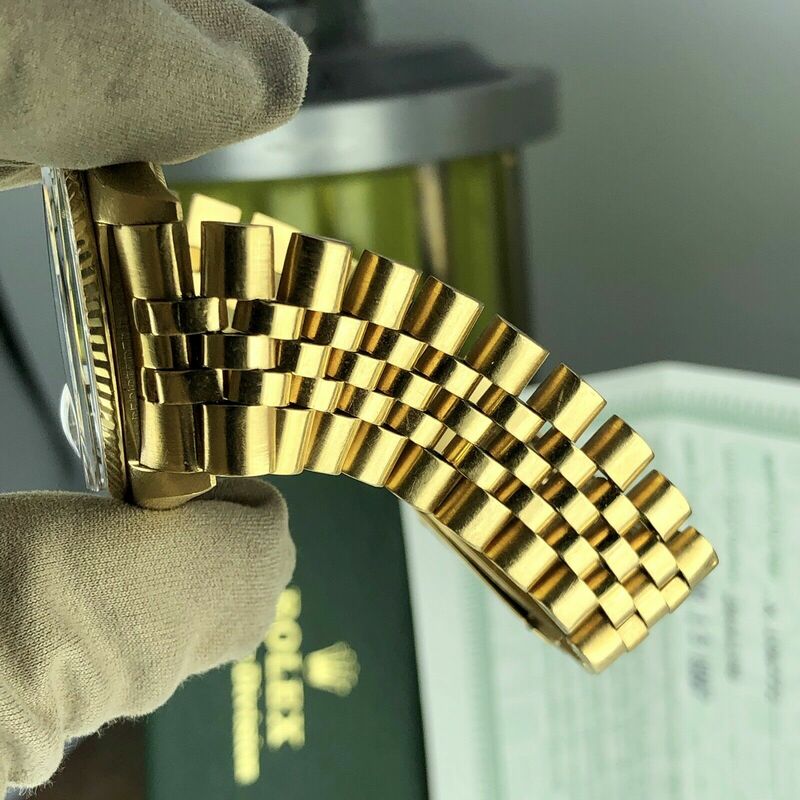 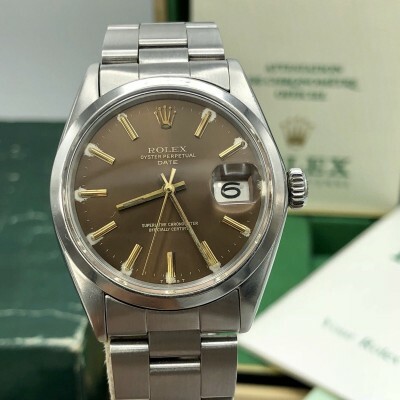 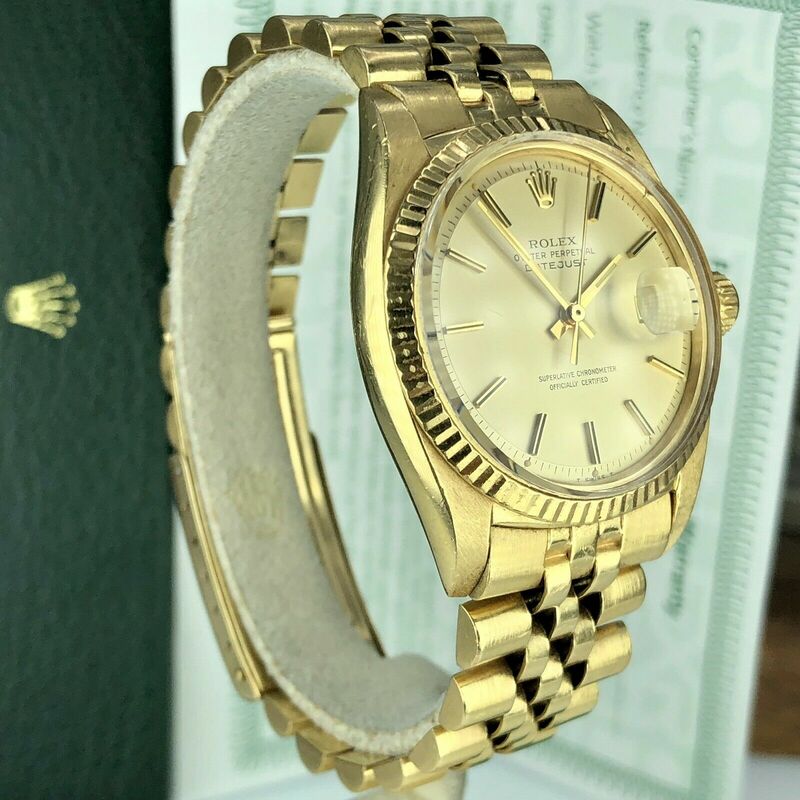 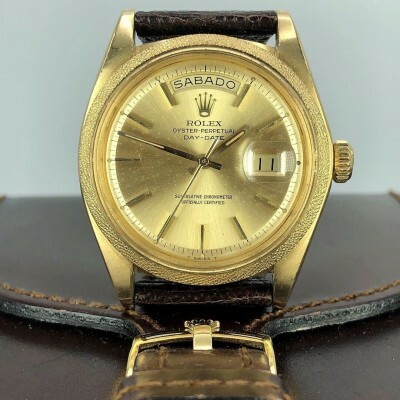 Came from the original owner 1972 Vintage Rolex Datejust 1601 gold 18k Unpolished With Service Box & Papers (2M Serial). 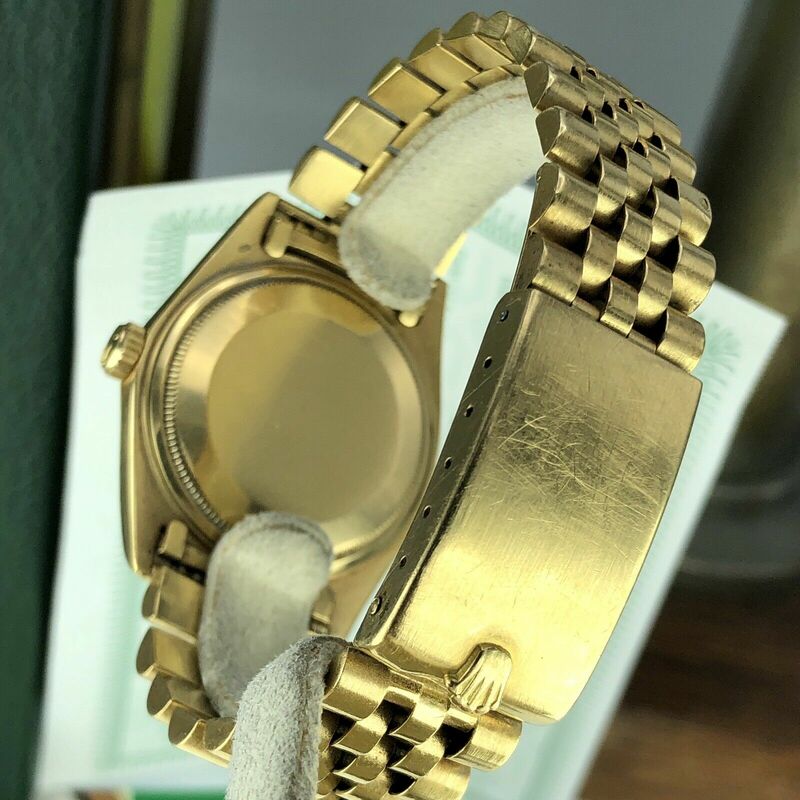 Case and Band: Unpolished Very Nice condition case. 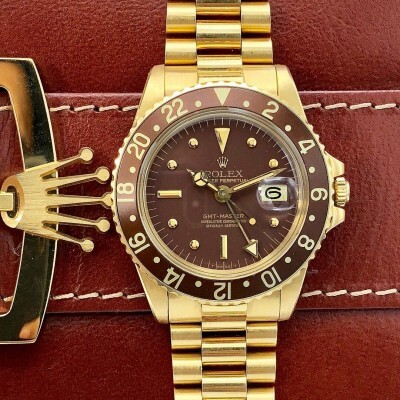 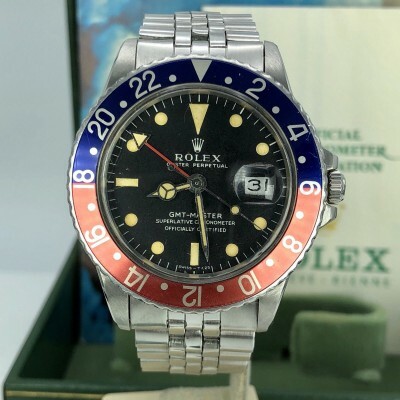 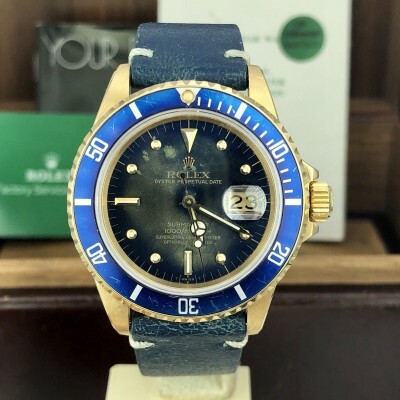 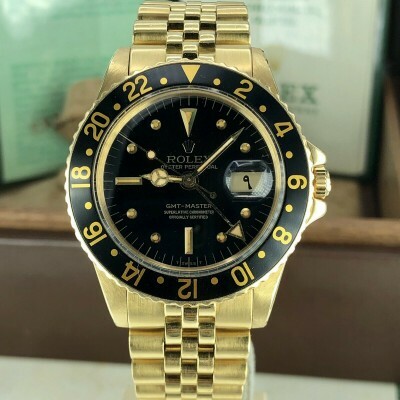 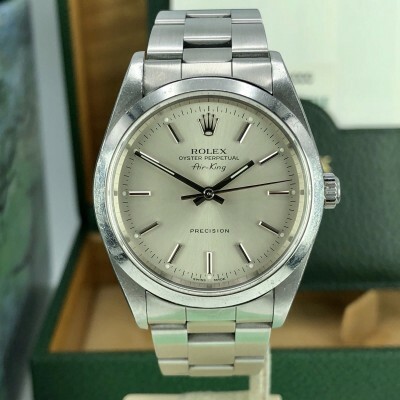 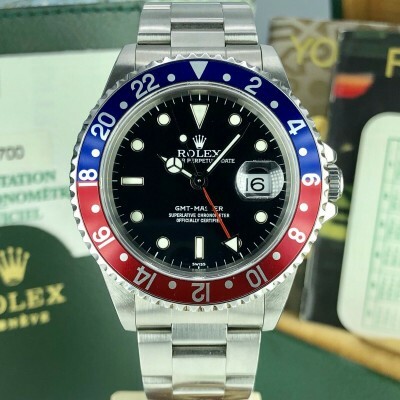 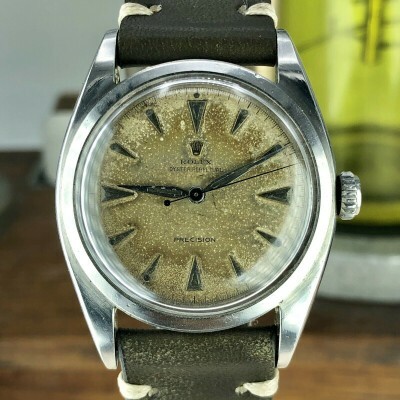 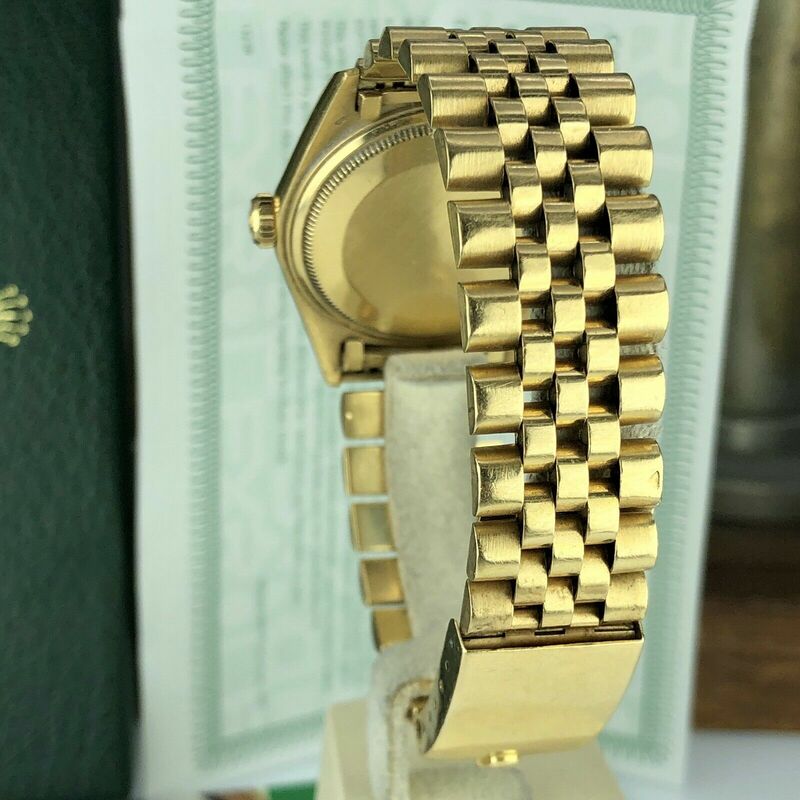 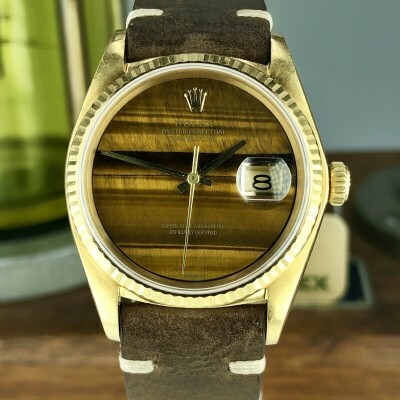 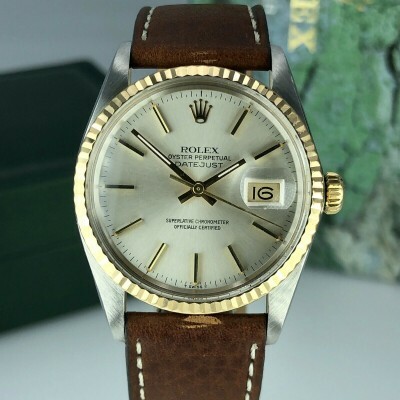 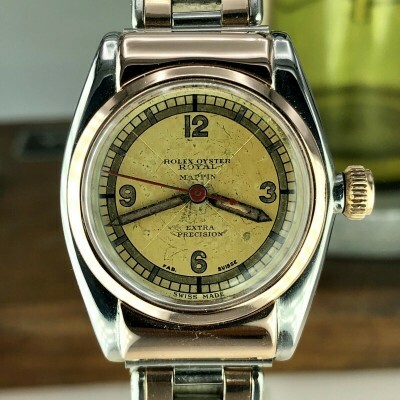 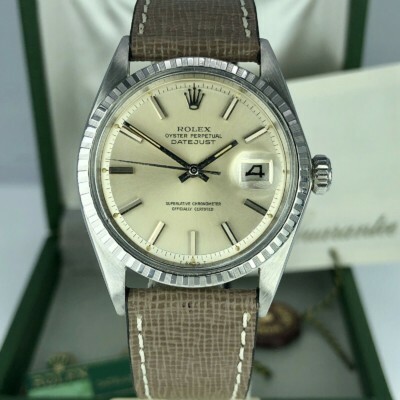 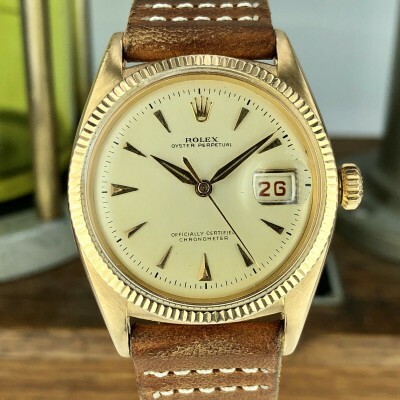 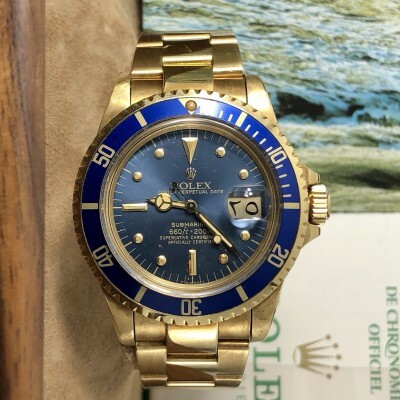 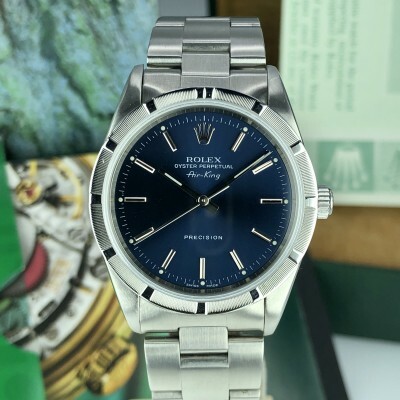 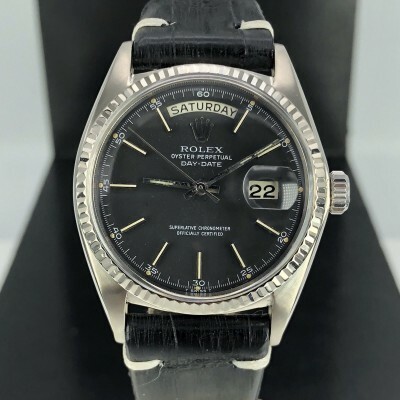 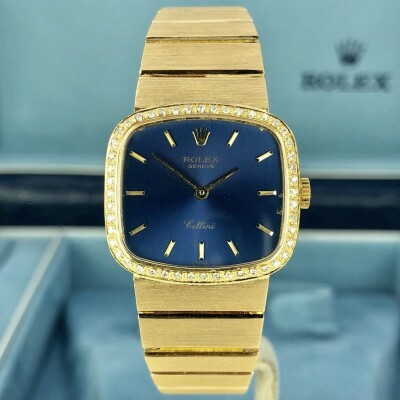 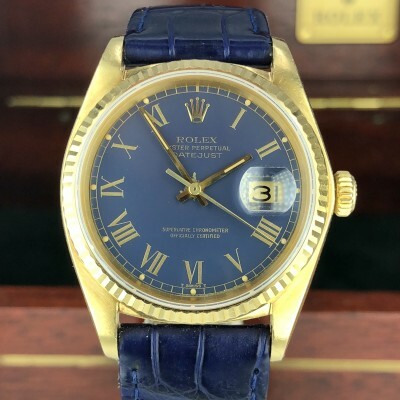 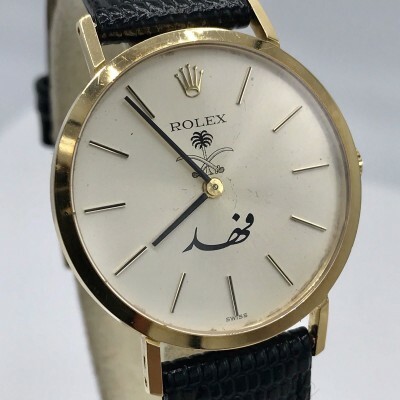 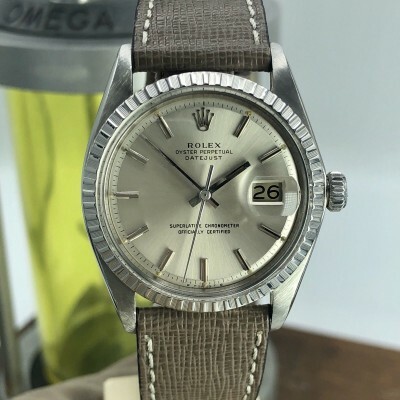 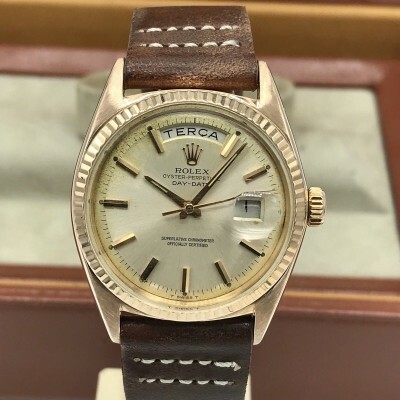 Original rolex jubilee dated 1972. 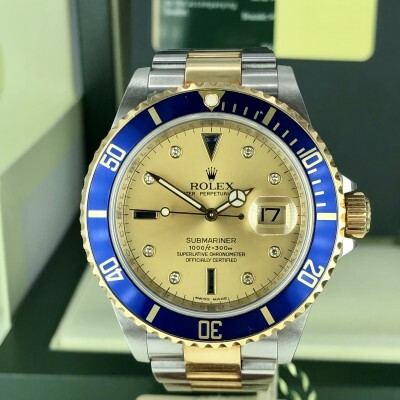 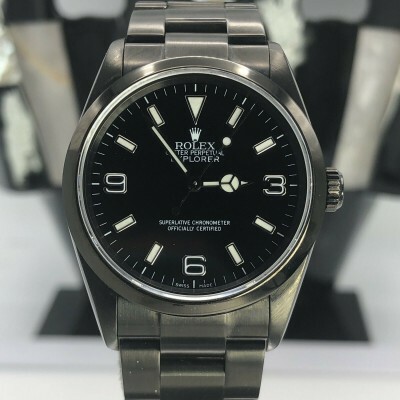 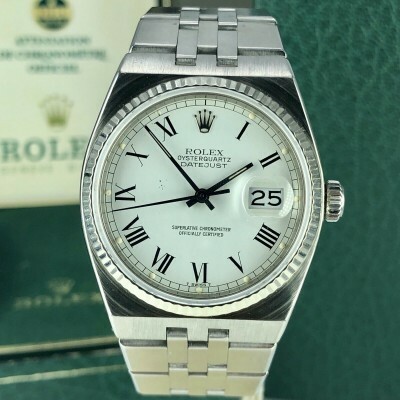 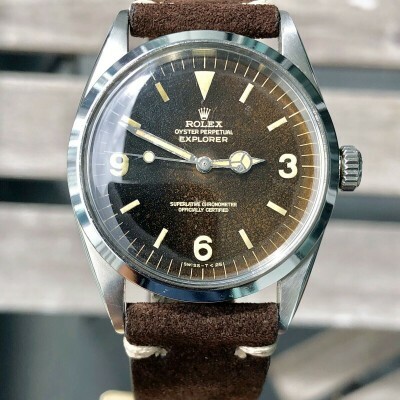 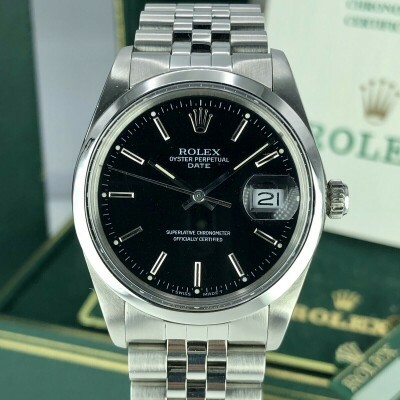 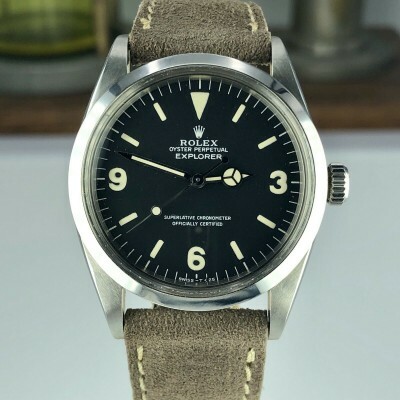 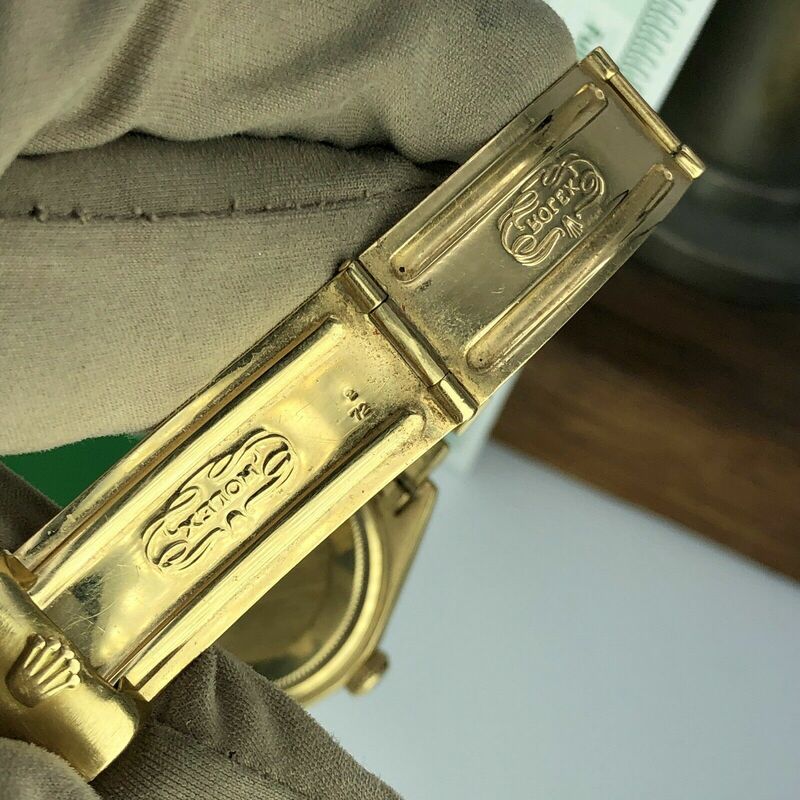 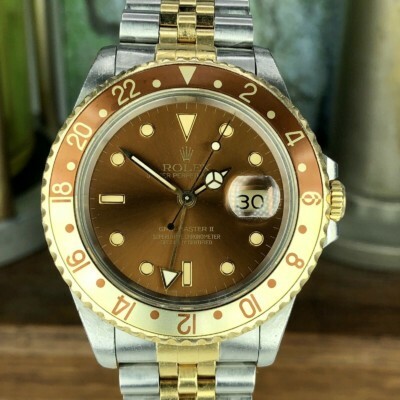 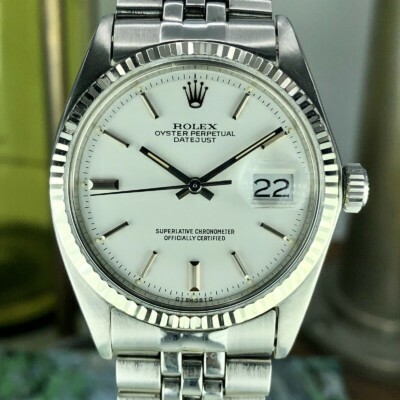 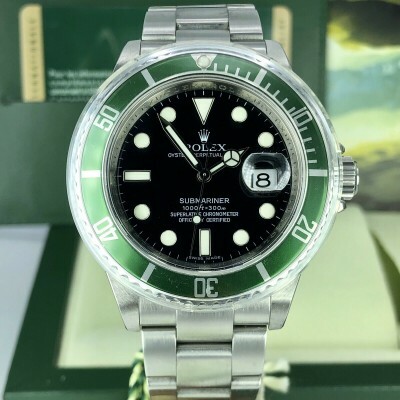 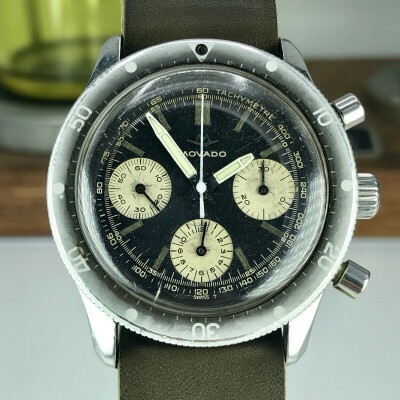 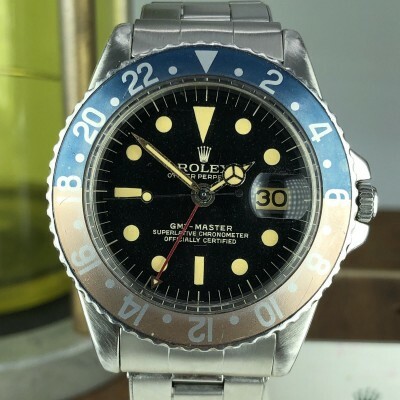 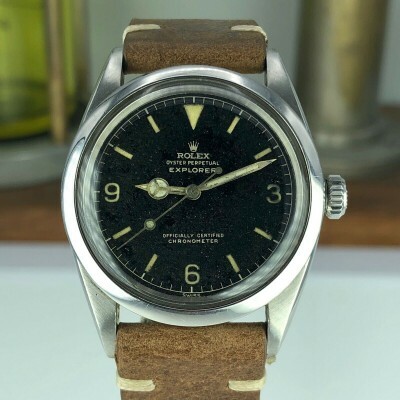 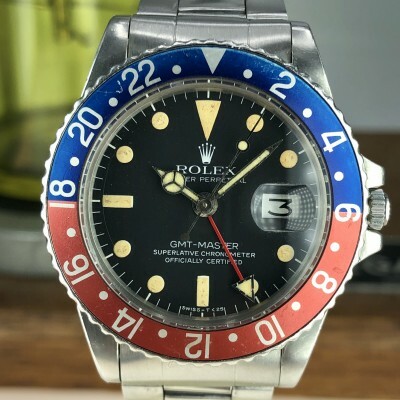 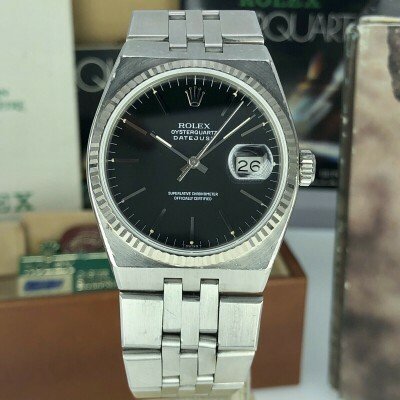 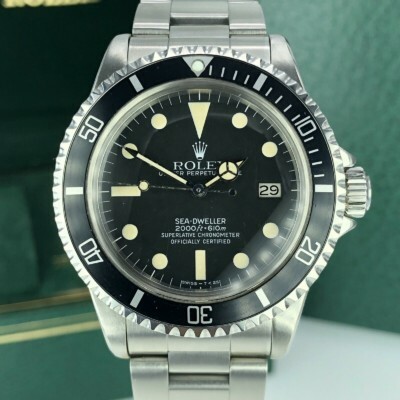 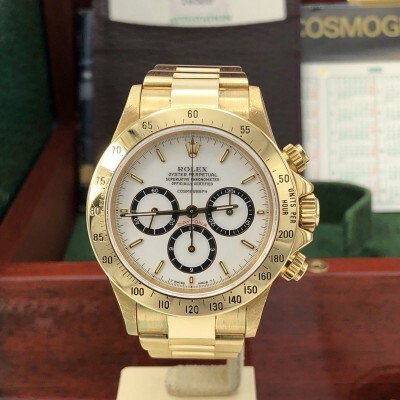 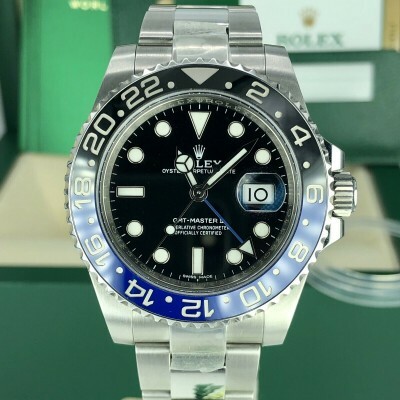 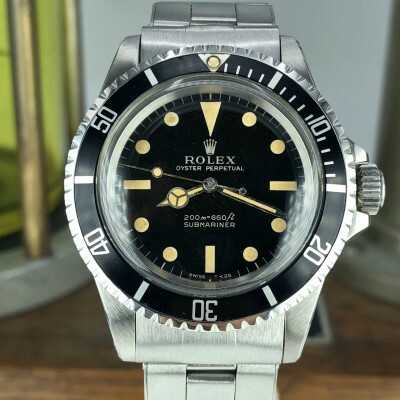 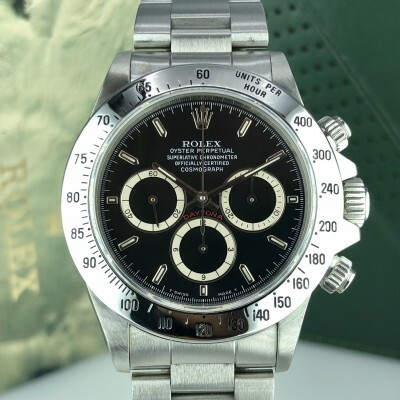 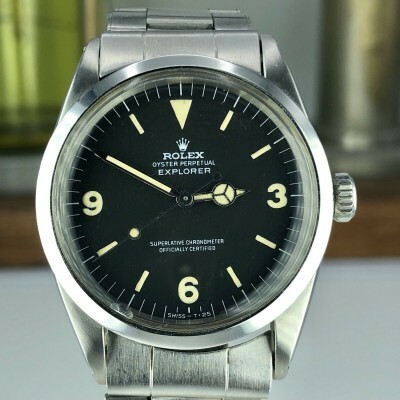 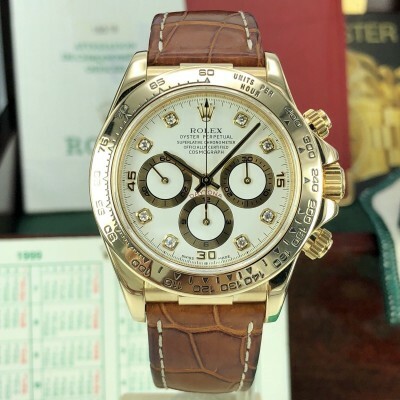 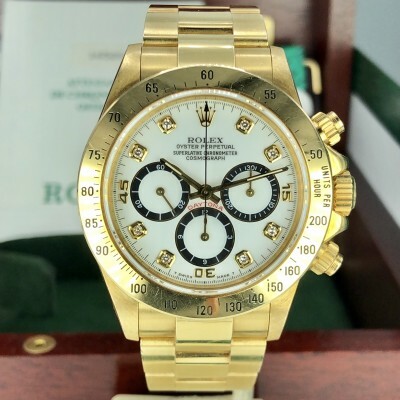 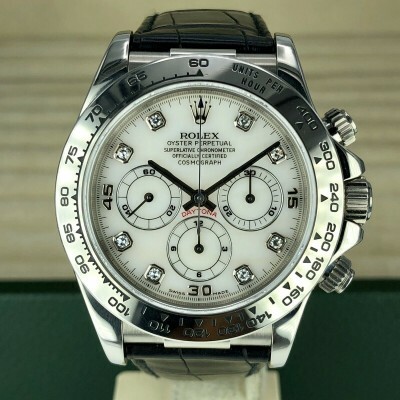 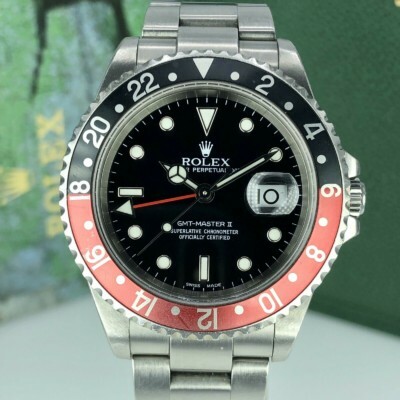 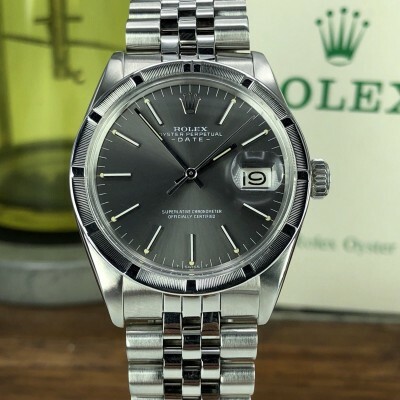 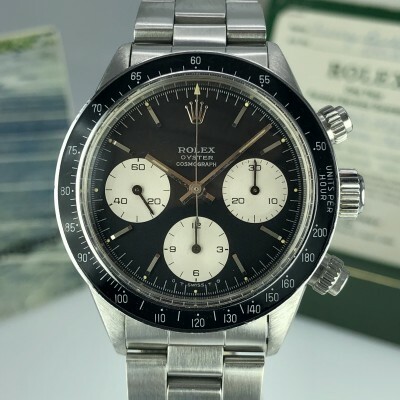 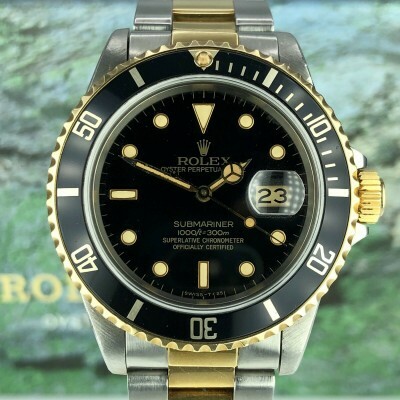 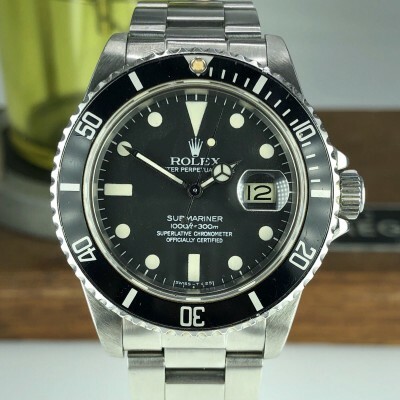 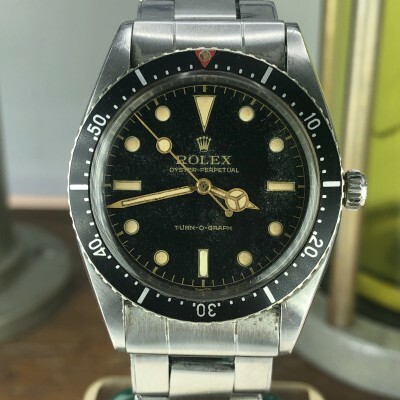 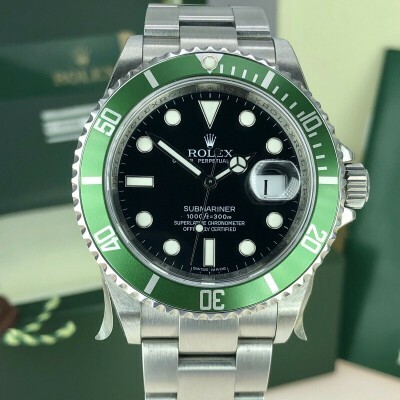 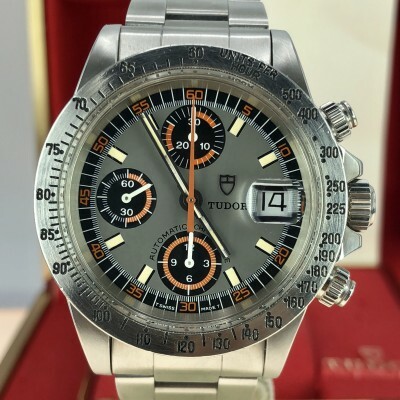 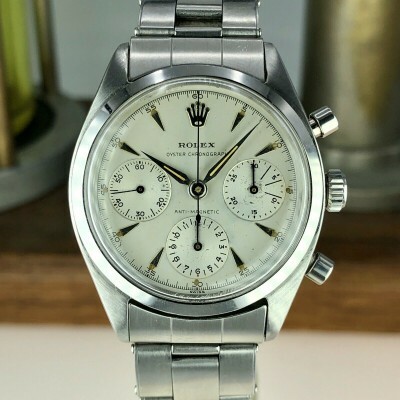 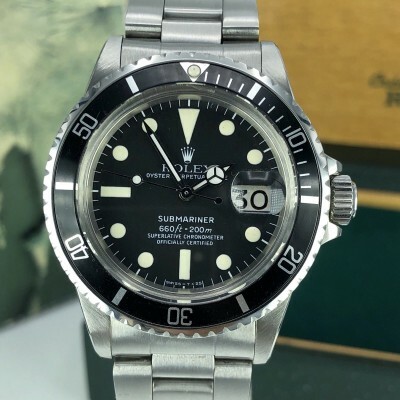 Dial & hands: Original rolex Mint condition dial & hands. 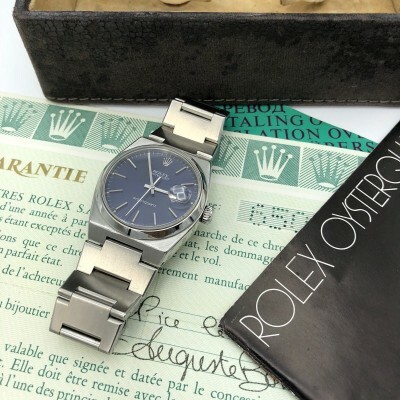 Accessories: This watch will come with service box & papers from 1997.